Many businesses and public entities use their web sites to provide information about programs and services, offer registration, enable visitors to purchase goods and services and much more. How does the ADA apply to these web sites? What makes a web site accessible? 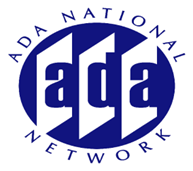 Are there ADA standards for web sites? Join us for this informative session as the speaker will address these questions and provide an opportunity for participants to ask their own.